Join Fred. Olsen’s stylish Balmoral to explore New England in Spring 2016! Fred. 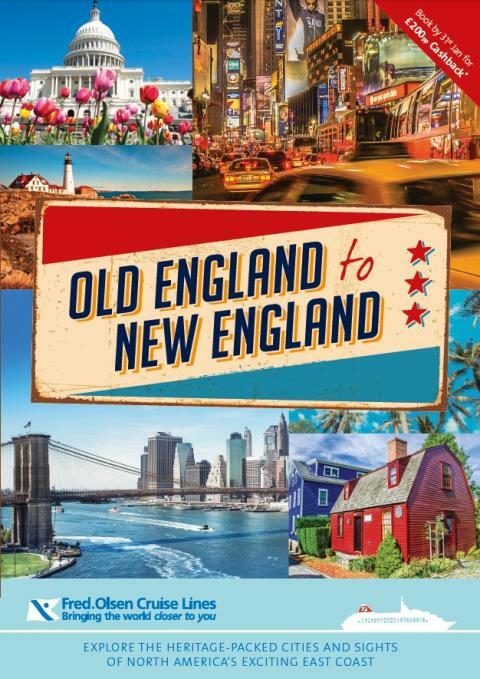 Olsen’s unique adults-only 34-night L1608 ‘Old England to New England’ cruise, which sets sail from Southampton on 16th April 2016, offers guests a whole range of fascinating and diverse experiences, visiting six American states and staying overnight in three vibrant cities. First, Balmoral sails to the Caribbean, with a call to Ponta Delgada, in the Azores, as an appetiser along the way. In beautiful Bermuda, guests will visit Hamilton – the small, but vibrant capital – and the UNESCO-listed 'English village' of St. George, so there are plenty of opportunities to discover this classic holiday island’s many highlights and abundance of beaches. Then, it is onto the USA, with Balmoral stopping first in Norfolk, Virginia, a maiden call for Fred. Olsen, where guests can explore the beautiful Botanical Gardens. 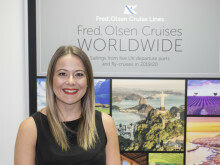 The cruise then moves onto Baltimore – another maiden call for Fred. – for an overnight stay. Here, guests can visit the many attractions of the ‘Charm City’, including the National Aquarium and Maryland Science Centre, or take a trip to Washington D.C. to marvel at landmarks made famous in thousands of films and TV shows, including the Lincoln Memorial, the Washington Monument and, of course, the White House. From Baltimore, New York beckons…arguably, the most exciting city on earth! Guests have two days in the ‘Big Apple’ to take in the famous skyscrapers, Fifth Avenue stores, Central Park, the Statue of Liberty, the Empire State Building and much more! Balmoral then makes a visit to Newport, Rhode Island, which is a haven for hikers, thanks to the three-mile cliff walking trail that encompasses the beautiful shoreline, historic architecture and varied flora and fauna. A visit to Boston follows, home to the most famous bar in the world…Cheers! The hi-tech skyscrapers, classic Georgian buildings and fascinating Freedom Trail await guests’ discovery. Portland – Maine’s largest city – is the final call in the USA on this cruise. Wander through the cobbled streets and discover the quaint shops of the Old Port. From the US, Balmoral sails northwards to Saint John, New Brunswick, for her first call in Canada. Guests can take in the spectacle of the twice-daily tidal bore at the impressive Reversing Falls Rapids, or take a ‘white knuckle ride’ through the rapids in Fallsview! Balmoral then makes her way to Halifax, Nova Scotia, where a host of historic and charming sights await guests. Visit the rustic fishing village of Peggy’s Cove, with its iconic lighthouse, or make a photo stop on Citadel Hill. St. John’s, the capital of Newfoundland and Labrador, boasts a rich and colourful history. With its ‘Old World’ charm, stunning architecture and historic landmarks, guests are bound to enjoy this fascinating destination. The final port of call is Ringaskiddy, in Ireland. Formerly a traditional fishing village, this settlement has developed into a modern deep-water ferry port, surrounded by beautiful scenery, with a Martello Tower sitting high above it. From here, guests can head further afield to Cork city, or discover the Jameson Distillery. Balmoral returns to Southampton on 20th May 2016. Prices for Atlantic adventure start from just 2,999 per person, based on two adults sharing a twin-bedded, Inside cabin, and include accommodation, all meals and entertainment on board, plus port taxes. As an added bonus, guests can take advantage of up to £400 cashback per twin cabin on this cruise, for all bookings made before 31st January 2016. Guests can also choose from two other tempting benefits on this sailing: ‘Three Cruises for the Price of Two’ or ‘Free Tips & Tipples’, where Fred. Olsen covers guests’ tips and gives them the ‘all-inclusive’ drinks upgrade FREE, which are both available until 2nd March 2016.